Get ready for that fun date with the girls wearing your casual no brainers and this super cool mini messenger bag. 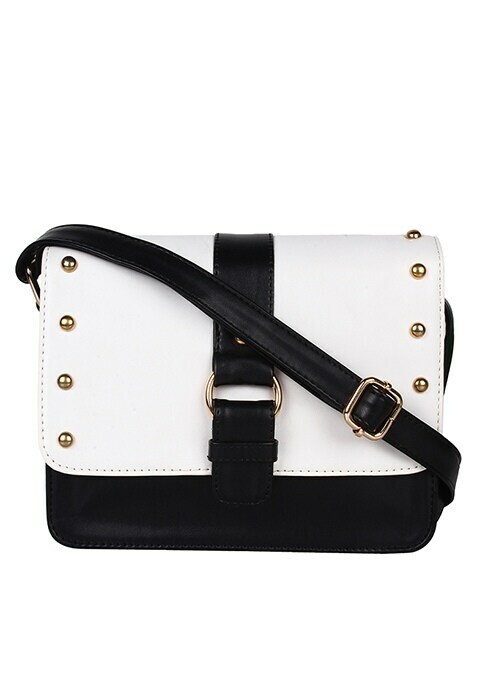 Studded detail, white flap with magnetic button closure and adjustable shoulder strap. Work It - Looks adorable with a printed skater dress and messy hair. Material: Faux leather Magnetic button closure Adjustable shoulder sling Dimension: 8.5"X3"X7"